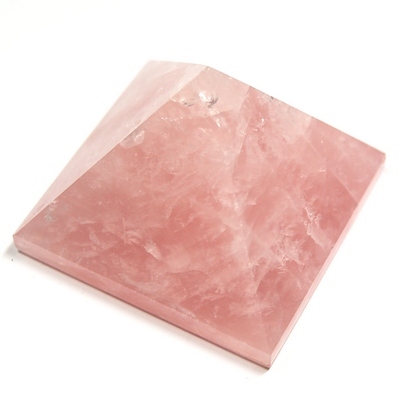 Can I Sleep With Rose Quartz Under My Pillow And How Often Do I Need To Cleanse It? How often do I cleanse the pink Rose Quartz crystal? Do I have to say affirmations everytime I cleanse it? Can I place the Rose Quartz crystal under my pillow while asleep? Rose Quartz can be cleansed as often as you feel necessary. I would suggest at least once per week if you are carrying it with your daily. You do not necessarily have to say affirmations each time you cleanse it but you should briefly state your intention. For example, "I am cleansing this crystal so that it may work for my highest good". Moonlight is great for Rose Quartz, and all other crystals too. You can carry it in your pocket or wallet every day, as well as sleep with it under your pillow. Some crystals, even gentle ones, may disturb sleep or produce vivid dreams, so you will have to test it and see how you feel.